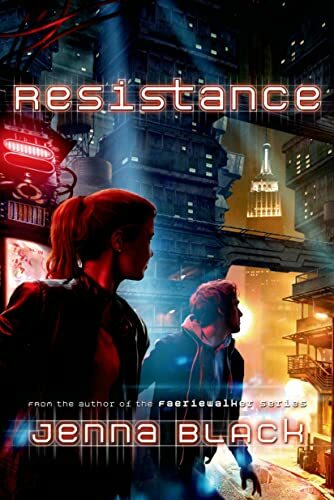 Resistance is the second installment in acclaimed author Jenna Black's YA SF romance series. The real Nate was viciously murdered, but thanks to Paxco's groundbreaking human replication technology, a duplicate was created that holds all of the personality and the memories of the original. Or...almost all. Nate's backup didn't extend to the days preceding his murder, leaving him searching for answers about who would kill him, and why. Now, after weeks spent attempting to solve his own murder with the help of his best friend and betrothed, Nadia Lake, Nate has found the answers he was seeking...and he doesn't like what he's discovered. The original Nate was killed because he knew a secret that could change everything. Thanks to Nadia's quick thinking, the two of them hold the cards now―or think they do. Unfortunately, neither of them fully understands just how deep the conspiracy runs. JENNA BLACK received her Bachelor of Arts in physical anthropology and French from Duke University. She is the author of the Faeriewalker series for teens as well as the Morgan Kingsley urban fantasy series.